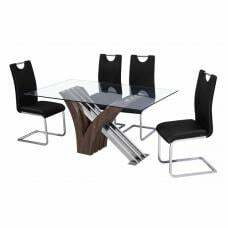 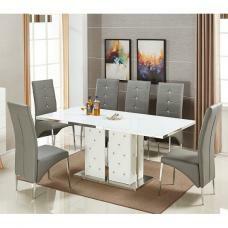 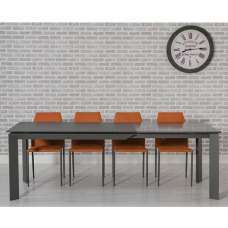 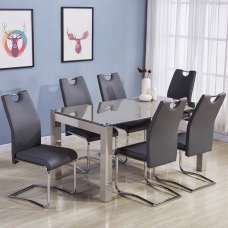 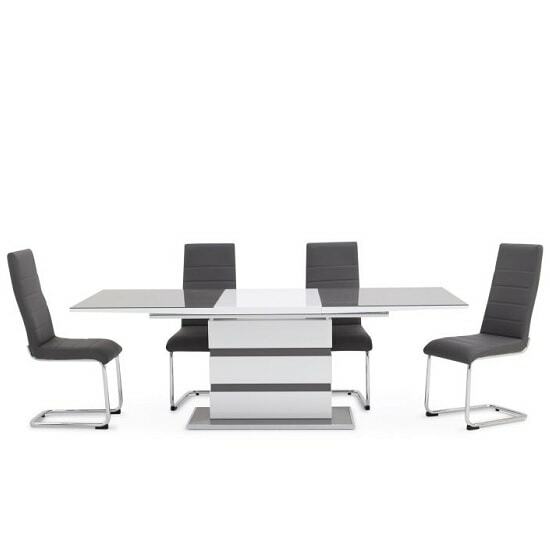 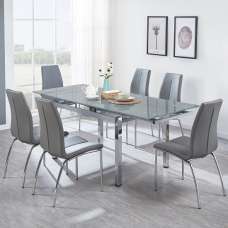 Merton Extendable Glass Dining Table With White And Grey High Gloss With 6 Vegas Cantilever Dining Chairs, robust, attractive looking dining table set that offers plenty of room for you and your family to dine around. 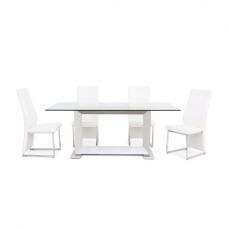 Finished in White And Grey High Gloss with protective glass on top. 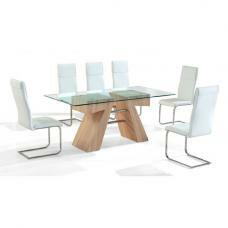 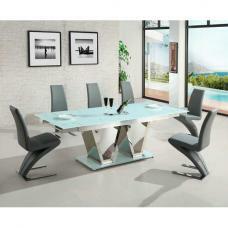 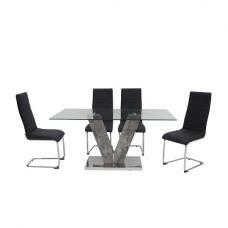 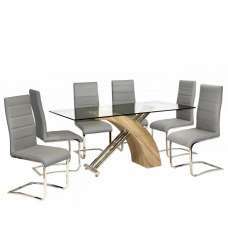 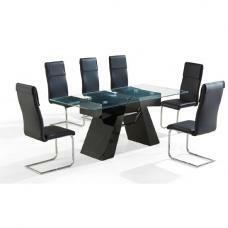 It features high gloss butterfly one hand extension mechanism which turns the table from 160cm to 220cm. 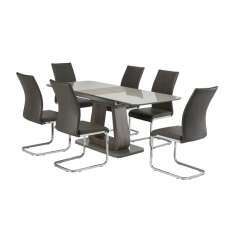 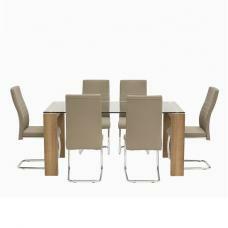 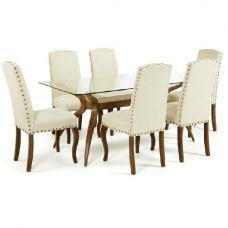 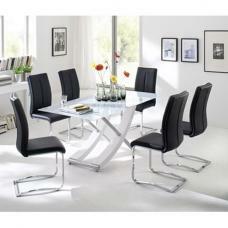 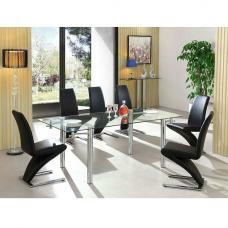 6 x Vegas Cantilever Dining Chair In Faux Leather With Polished Chrome Base.